﻿ The Ernest Warther Museum - Ohio. Find It Here. The Ernest Warther Museum displays the priceless artworks of the World's Master Carver, Ernest "Mooney" Warther. 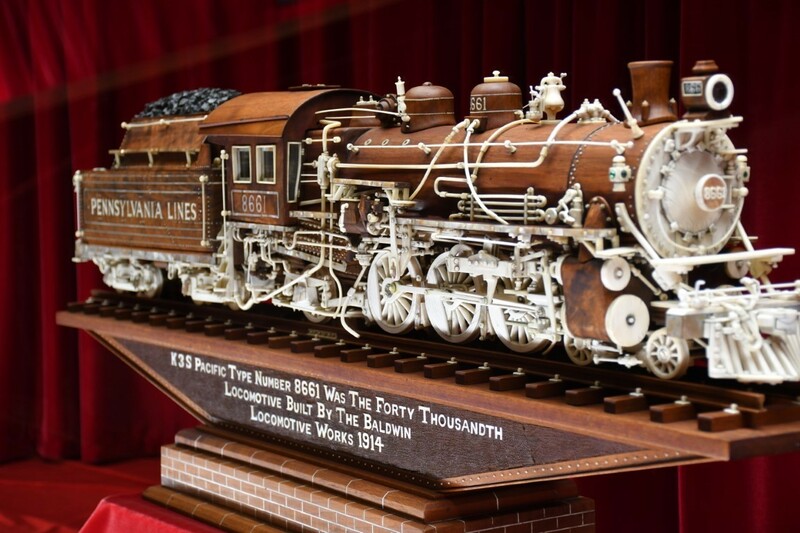 A one hour guided tour takes guests through the life and works of a sculptor who captured the evolution of the steam engine out of ebony, ivory, and walnut. Warther's home and original studio is on display as well. His wife, Frieda, was an artist in her own right and she created Swiss-styled gardens, which are still kept today, as well as amassed a 73,000 plus-piece button collection placed into quilting patterns. Most visitors spend two hours on site exploring and immersing themselves in the passion of creativity exhibited by these two artists.